Watch the video below to learn more and see Delta Rigging & Tools demonstrate how to properly put on chains and how to maintain them without damaging your car. “Those are tensioners, so you’ll see it pulls everything tight and it’s important that they stay tight. If they get loose they’ll start slapping the vehicle and possibly doing damage, but you see once you got those on, everything is tight the way it’s supposed to be,” said Todd Smith, General Manager of Delta Rigging & Tools as he demonstrated how to put on chains. Delta Rigging & Tools will be happy to help any customer select and correctly install tire chains to their vehicle. 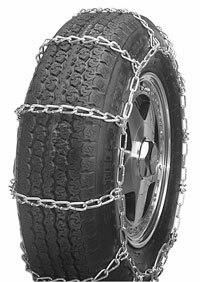 Tire chains are a necessity to staying safe on snow and icy roadways this winter. Have questions? Contact our Grand Junction office directly at: (970)242-1144.